A few interesting titbits of Newcastle retail news ahead of the opening of Eldon Square South – St Andrew’s Way – on 16 February. 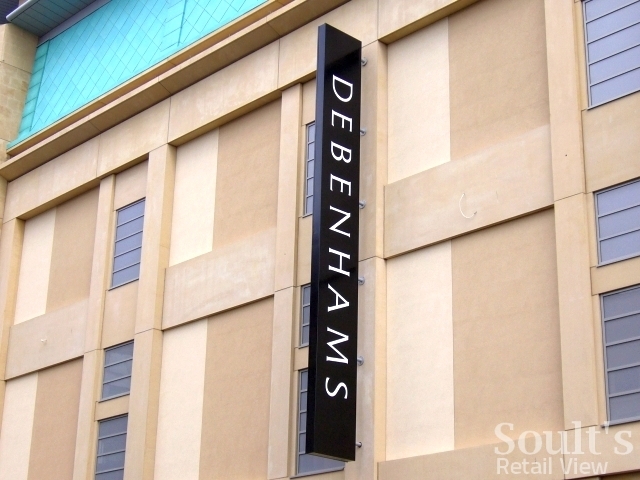 Anchored by a new Debenhams store, Eldon Square South is of interest beyond Tyneside as one of only a handful of major retail developments to be opening in the UK during 2010. I recently blogged about Abercrombie & Fitch’s sister brand Hollister having Meadowhall and the Trafford Centre as its “most northerly outposts”. Now it seems that we’re going to be getting our own Hollister in Eldon Square, meaning that the shopping centre’s extension will – impressively – be fully let when it opens next month. In an earlier post about Eldon Square’s extension, I noted that “the real test… will be ensuring that the large and prominent units being vacated by New Look, River Island, Topshop, et al do not stay empty for long”. 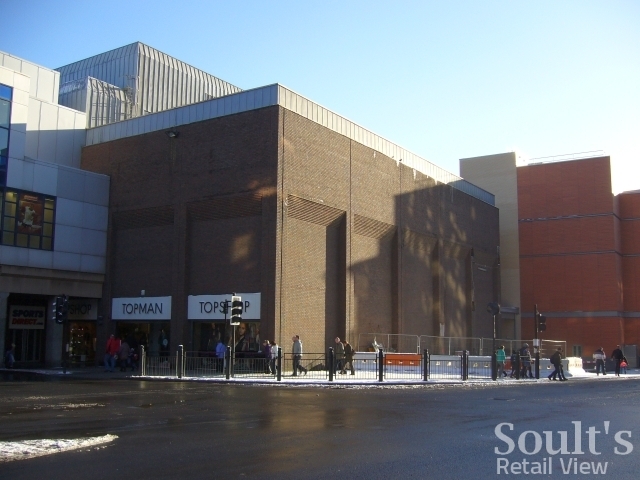 The word at SkyscraperCity is that Next is going to be taking over the soon-to-be-former Topshop/Topman site, though it’s not yet clear whether this will be in addition or instead of the retailer’s existing Northumberland Street store. The existing Next store is very cramped, but given that it had an interior makeover not too long ago my guess is that it will be retained alongside the new store. Either way, I hope something will be done to improve the current Topshop/Topman unit’s ugly brick walls, which present such a blank and unappealing face onto Blackett and Newgate Streets. 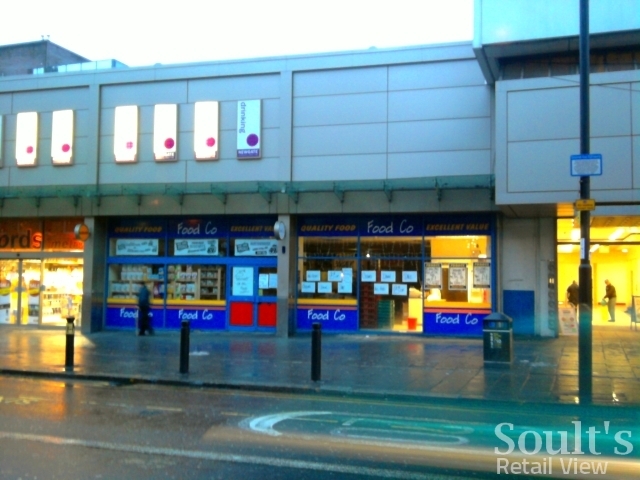 We’ve known for some time that Tesco Metro is coming to the Eldon Square extension; now it seems that a Tesco Express is opening up at nearby Eldon Garden as well. That begins to explain the Sony Centre’s move into one floor of the former Pier store, freeing up the prominent unit facing Percy Street for Tesco. It still seems curious, however, that having had no city centre Tesco store until now, there will soon be two within a few hundred metres of each other. Equally, with M&S, Waitrose, Sainsbury’s Local, Tesco Metro, Tesco Express and The Co-operative Food all operating in the Percy Street / Newgate Street area, it will be interesting to see whether all of them are able to thrive. 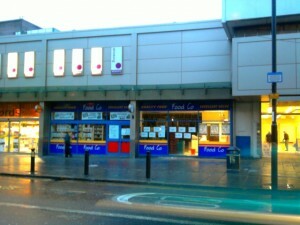 When I walked by last week, ‘Store Closed’ signs in the windows indicated that the Food Co supermarket in the soon-to-be-redeveloped Newgate Centre had already succumbed. Expect more musical shops over the coming months as, with the opening of Eldon Square South, Newcastle city centre adapts to the biggest geographical shift in its retail focus for more than thirty years. Interesting times! Is Hollister really opening…there doesnt seem to be posts about this anywhere? !